We are based in England, in the quiet rural county of Shropshire, and trade in collectable uniform insignia by mail order. We specialise in authentic items, not reproductions. Having collected British Military Insignia since the age of 10, Ian describes the Militaria business as a 'hobby gone wild'. Ian Kelly formally registered as a Militaria Dealer on first leaving the Regular Army in 1990, and now runs the business in his spare time with his wife Janet. From small beginnings we now have over 10,000 different types of insignia for sale and over 17,000 world-wide collectors on our books. We deal purely by mail-order and do not have a physical shop. In addition to this website, we try to issue postal catalogues of fresh stock 3 or 4 times a year. 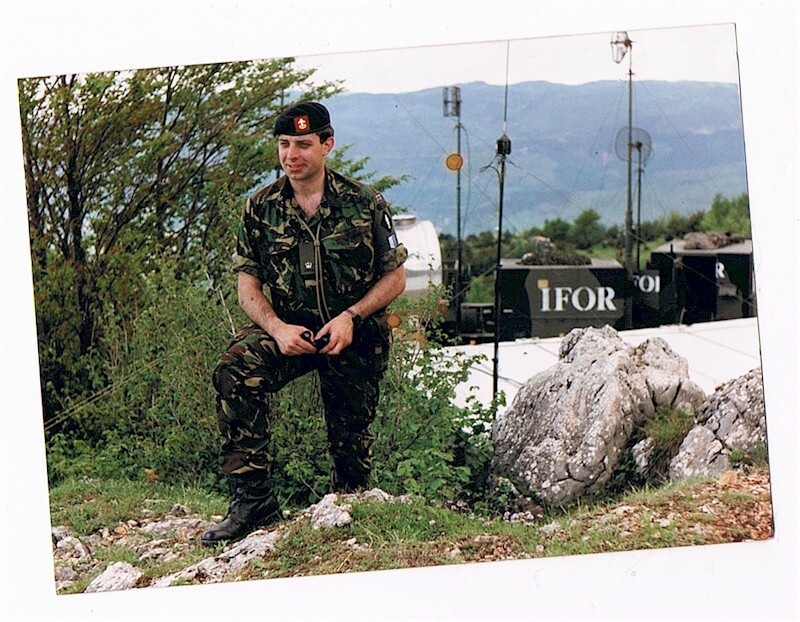 Ian Kelly joined the Territorial Army infantry at the age of 17 (whilst still at school), and returned to the TA in 1990 after a spell as a Captain in the Regular Army. He served in a number of military units including The Yorkshire Volunteers, The Duke of Wellington's Regiment (West Riding), Sheffield University Officers' Training Corps and The King's Regiment. Whilst still wearing King's Regiment infantry insignia, he served on a two year attachment to the Royal Signals as a Major commanding 42nd (City of Manchester) Signal Squadron (Volunteers).